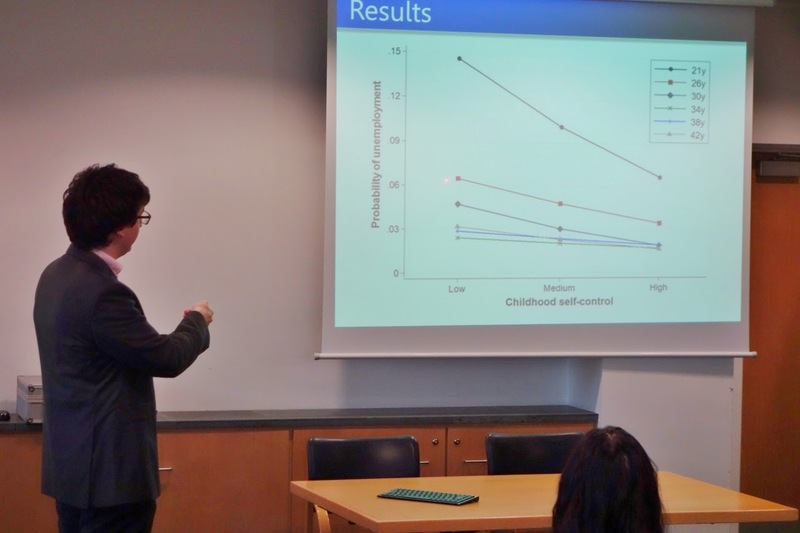 Thanks everybody for attending our Workshop on "Behavioural Economics, Unemployment and Well-Being" that took place on December 5th 2014, was funded by the Marie Curie Career Integration scheme, and was organised by Professor Liam Delaney and Dr Michael Daly of Stirling Management School’s Behavioural Science Centre. We heard fascinating talks and had illuminating discussions about the relationship between well-being and unemployment. The abstracts of the talks, pictures, and some links for further reading are below. Details of future workshops will be provided via the mailing list, the blog and our twitter account. Childhood psychological factors influencing life-long unemployment trajectories. Do open youth unemployment and youth programs leave the same mental health scars? Evidence from a Swedish 27-year cohort study. Abstract: Unemployment experiences have long been linked with reduced mental health. 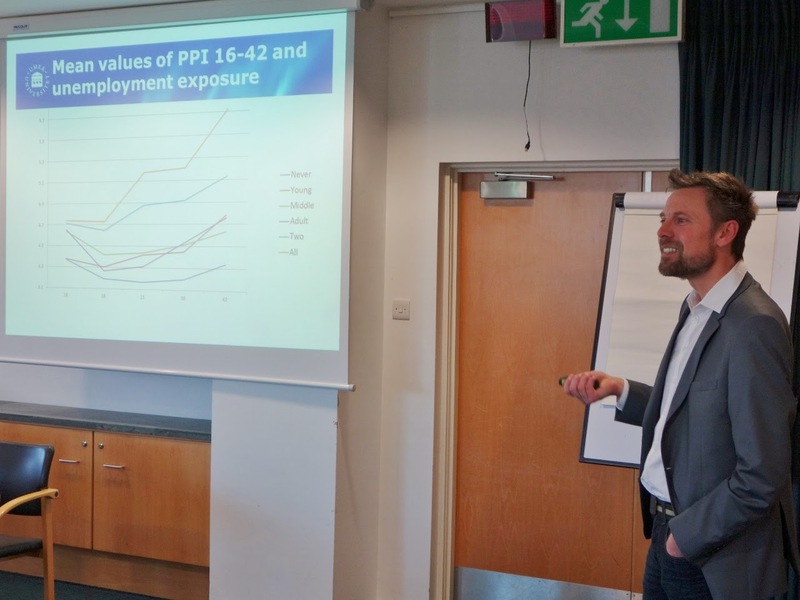 Recent findings suggest that the mental health costs of unemployment may have been underestimated in the past and that youth unemployment in particular can create both short- and long-term mental health scars. The main policy tools for dealing with young people at risk of labor market exclusion are Active Labor Market Policy programs for youths (youth programs). Research on these programs has primarily focused on labor market effects; there has been little emphasis on their potential effects on mental health and even less on whether participation in such programs alleviates the long-term mental health scarring caused by unemployment. This study uses a Swedish 27-year prospective cohort study initiated in 1981 with waves at ages 16, 18, 21, 30 and 43 to investigate how open unemployment and participation in youth programs between ages 18 and 21 are related to internalized mental health symptoms at ages 21 and 43. Our results indicate that open unemployment among youths leads to significant mental health scarring at both 21 and 43 whereas there was little or no such scarring among youth program participants. Abstract: We used the Day Reconstruction Methods to measure the emotional well-being of people in welfare-to-work jobs in Germany. We interviewed about 350 persons in such employment schemes (along with equal numbers of employed and unemployed persons). 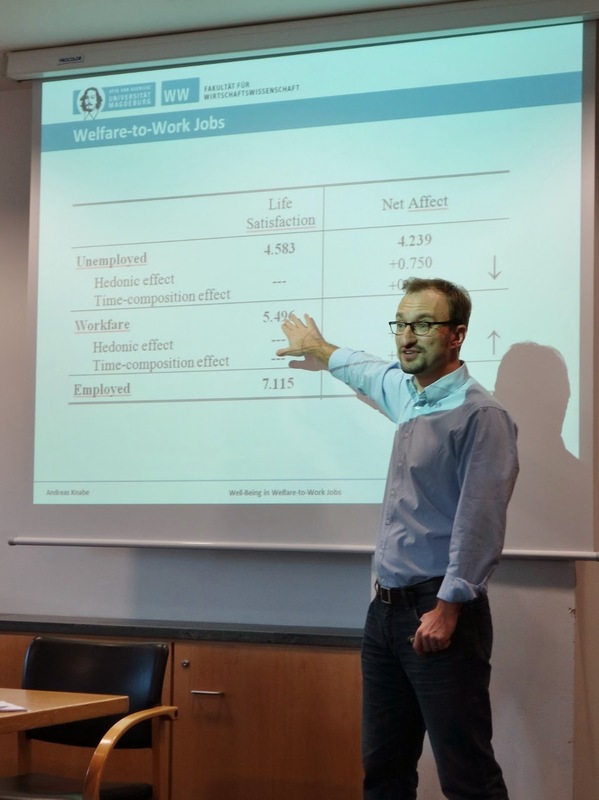 Our data show that people in welfare-to-work jobs are less satisfied with their life than regularly employed people, but their life satisfaction is much higher than that of unemployed persons. Interestingly, their emotional well-being appears to be the highest of the three groups. We discuss potential explanations of these findings and policy implications. Childhood Self-Control, Recession and Unemployment. Abstract: The capacity for self-control may underlie successful labor force entry and job retention, particularly in times of economic uncertainty. Our analysis of unemployment data from two nationally representative British cohort studies (N=16,941) found that low childhood self-control was associated with the emergence and persistence of patterns of unemployment across four decades. On average a 1SD increase in self-control was associated with a reduction in unemployment of a quarter or 1.4 percentage points after adjustment for intelligence and social class. From labor market entry to middle-age those with low self-control experienced 1.7 times more months of unemployment than those with high self-control. Analysis of monthly unemployment data during the 1980s recession showed that those with low self-control suffered the greatest increases in unemployment during this period. Our results underscore the critical role of self-control in shaping lifespan trajectories of occupational success and in affecting how macroeconomic conditions shape population unemployment levels. Behavioural Insights into the Youth Employment Services. 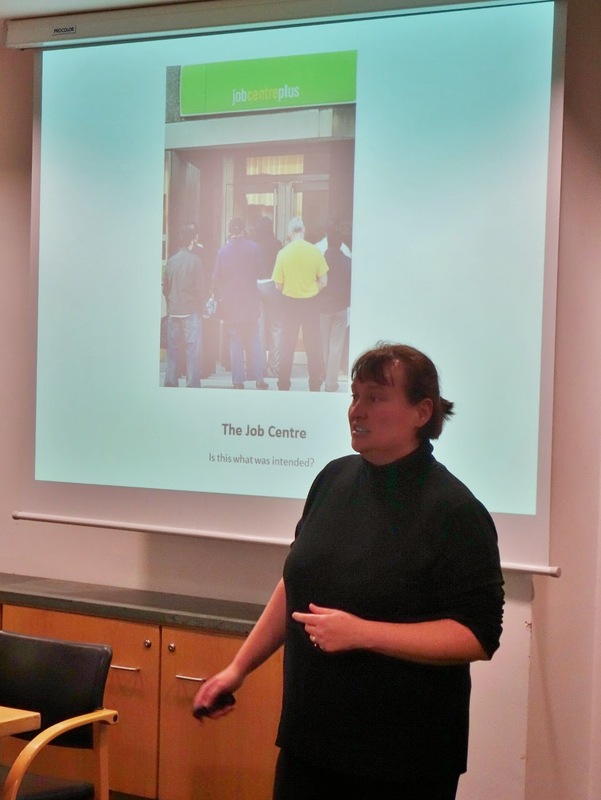 Support mechanisms for the youth unemployed in the UK at present are based on a weekly meeting with a personal advisor at the local Job Centre as provided by the Youth Contact launched by the coalition government in April 2012. 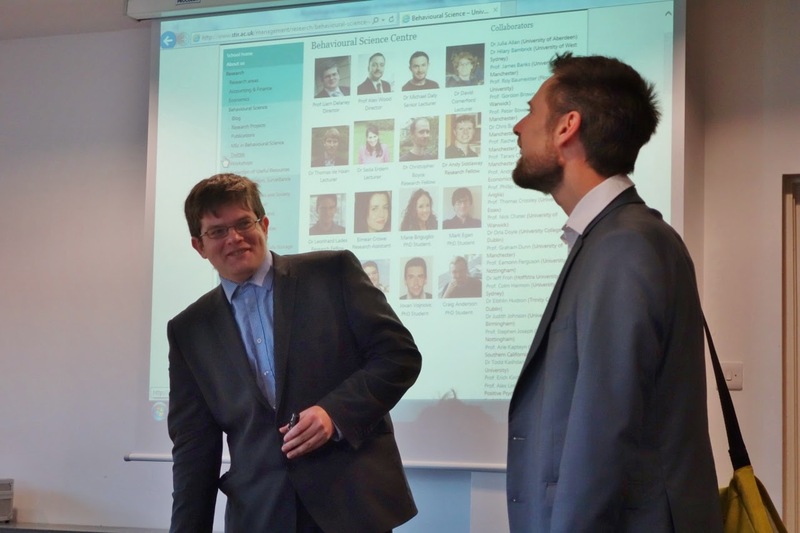 Additional online support for job search between meetings is provided by Job Centre Plus website. This paper uses the policy nudges identified in our previous work to develop a Randomised Control Trial to explore on the effectiveness of e-mail reminders between personal advisor appointments. The results suggest that the use of carefully worded e-mails between personal advisor meetings can improve job search outcomes for young unemployed people. This provides evidence that the effectiveness of active labour market policies may be limited when focusing on just the stick approach of sanctions and that the use of motivational messages and supportive prompts on job search could prove fruitful especially with young people.